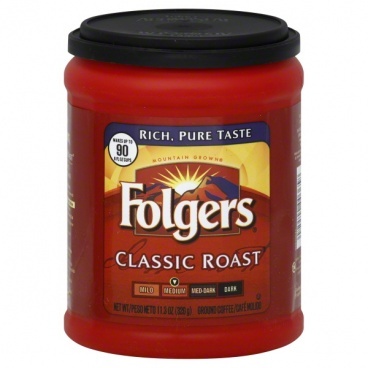 When it comes to fresh ground coffee, Folgers is one of the most popular brands in the United States. With its rich, pure taste, Folgers is the perfect coffee on which to start the day. Made for percolators and coffee makers, Folgers coffee is grown in the mountains, so it has a fresh taste that is absent from many of the coffees we drink in the UK. To keep it fresh, each canister of Folgers comes with the AromaSeal, a patented device that ensures the coffee remains fresh, no matter how long it stays in the jar, guaranteeing every cup will taste just as good as the first. This large canister (11.3 ounce/320 grams) is enough to make 90 cups and contains 100% pure coffee with no added ingredients. From the moment you open it, until the last spoonful, Folgers Classic Roast Ground Coffee remains fresh. 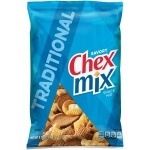 It also has a rich, full-bodied taste that is perfect when consumed black or with a little cream or milk. 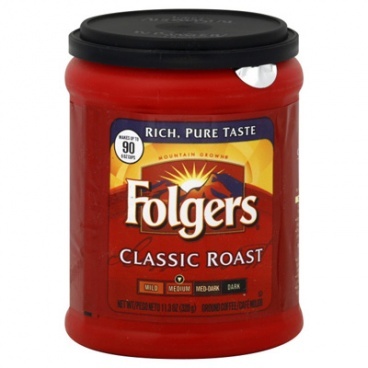 If you are a coffee lover, you really do need to try Folgers for its delicious flavour, which makes it taste like it has come straight from a coffee house. With your own jar of Folgers, you will not have to pay high prices in coffee shops any more, as you will have the same great taste at home. No wonder Folgers is among the most popular Coffee for American households. Coffee Medium Classic Roast Ground. Well let me start off with the fact that I've wanted to try Folgers coffee for a while now, but have only just placed my first order for it. 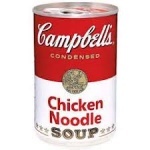 When my USA Food Store order arrived, I removed the black plastic lid from the top of the jar of Folgers, peeled back the foil freshness lid and discarded it, then took a whiff of the freshly ground goodness right before me! It has a very nice aroma, and quite unique in a strange way, compared with the ground coffees I usually use. If you are used to drinking coffees available on UK shelves and elsewhere in Europe, like Lavazza, then Folgers does not smell as strong and powerful as this. This coffee is ground purposely coarse, as it is intended for brewing through either a filter coffee machine, or a caffetiere. Upon brewing some the morning I received it, using my filter coffee machine that I use every morning, it have off a pleasant aroma as the machine was brewing it into the pot. Took a good old slurp once brewed and poured into my mug, and first impressions was 'wow, this is different!' It's a very smooth tasting coffee that certainly has strength, but is not overly powerful and shouldn't give you heart palpitations or the jitters. It's fantastic for drinking on a morning, or any time of the day for that matter. 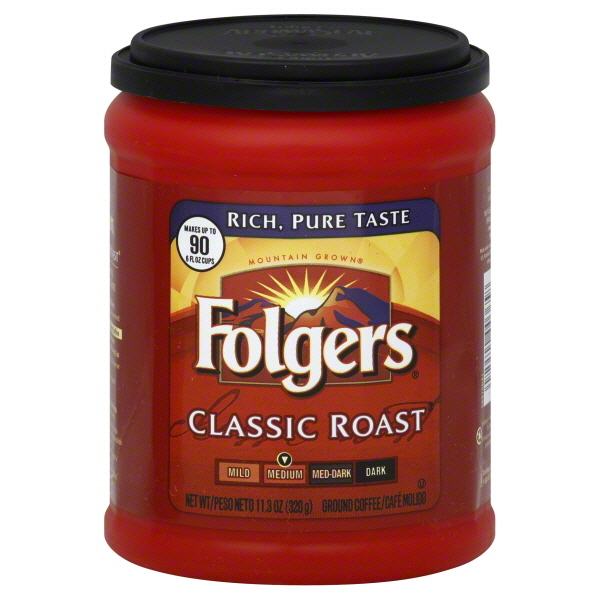 For those who only drink three shots of espresso in their coffee, then Folgers Classic Roast is not for you. What it certainly is though is a well rounded, medium bodied coffee that should win the hearts of true coffee lovers. Its sad to see that Folgers is not on the shelves of British supermarkets, however that won't stop me from getting my newly found 'Folgers Fix' from the USA Food Store!